Jerry A. Fodor, one of the world’s foremost philosophers of mind, who brought the workings of 20th-century computer technology to bear on ancient questions about the structure of human cognition, died on Wednesday at his home in Manhattan. He was 82. The cause was complications of Parkinson’s disease and a recent stroke, his wife, Janet Dean Fodor, said. More of the obit below, then a few personal remarks, and an extended discussion of an early influential work by Jerrold Katz and Jerry Fodor, The Structure of Langage: Readings in the Philosophy of Language (1964). Meanwhile, Bill Griffith has several times connected the coming of Christmas with Jean-Paul Sarte and the Big Duck of Flanders NY (on Long Island), and here I’ll follow him a bit along that rocky, twisted path. Enjoy the journey with me. 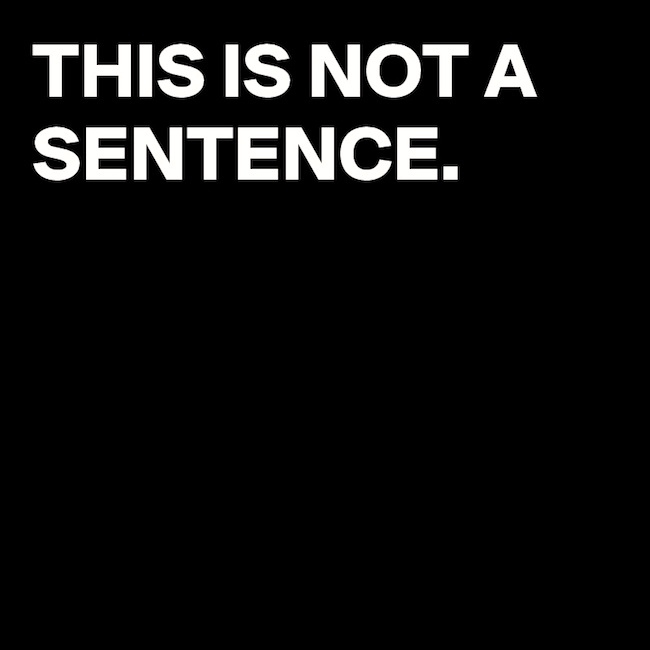 About the terminology Magrittean disavowal / Disavowal, not the phenomenon. Mike Pope suggests that the terminology may be original with me, and that might be so. 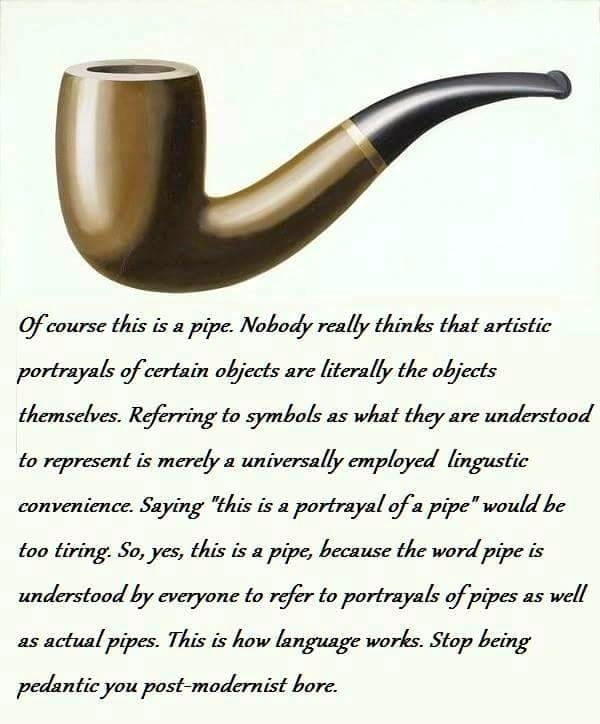 But the phenomenon has been around since Magritte’s 1929 painting — the famous pipe image captioned Ceci n’est pas une pipe — and similar examples have been around for longer than that, in apparently paradoxical sentences like the one above (or its French equivalent Ceci n’est pas une phrase), in a sign that announces This is not a sign (French: Ceci n’est pas un panneau), and, more distantly, in the ancient Liar Paradox, with a number of variants: I am lying – Everything I say is false – This sentence is false. That’s Lewis Carroll’s Humpty Dumpty on that wall, discoursing on semantics as in Through the Looking-Glass. 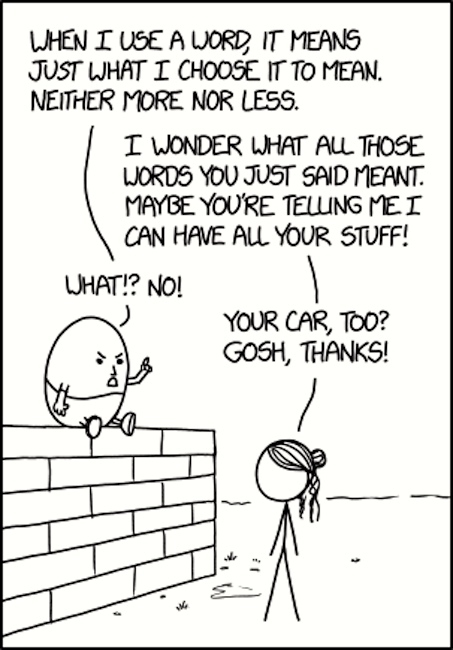 The stand-in for the baffled Alice in the book is the aggressively disputatious Science Girl of xkcd. Hilary Putnam, a Harvard philosopher whose influence ranged widely across many fields of thought, including mathematical logic, philosophy of mind and language, epistemology and metaphysics, died on March 13 at his home in Arlington, Mass. He was 89. In the world of contemporary philosophers, Professor Putnam was known for the breadth of his thinking, the vividness of his provocative arguments, and his penchant for self-questioning and willingness to change his mind. If a red-breasted nuthatch sings in a forest & there’s no one there to google it, did it post a tweet? So what does it refer to in the top panel? In the old conundrum, it refers to the falling of the tree. 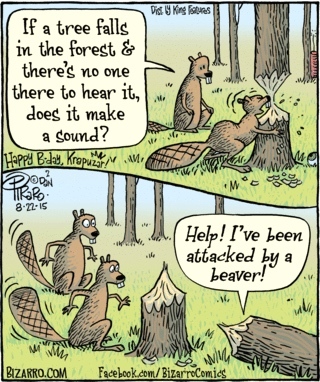 But in the bottom panel, it refers to the tree itself, which turns out to have the power of speech; it can certainly make a sound (of its own volition).